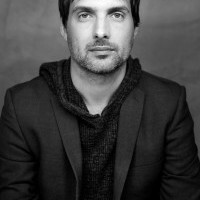 BAFTA and IFMCA award-winner James Hannigan is a versatile composer focused on the emotional directness and personal nature of his music. His credits include entries in the Harry Potter, The Lord of the Rings and EA Sports series'; titles such as Dead Space 3, RuneScape, Command & Conquer: Red Alert 3, Terraria Otherworld, Cloudy With a Chance of Meatballs and Space Hulk; television and radio such as BBC America’s Primeval, Neverwhere and Amazon/Audible’s Alien trilogy, and many others. A five-time BAFTA Award nominee for Original Music, James innovated interactive music composition early in his career for Theme Park World, Republic: The Revolution and Evil Genius, and provided some of the industry’s earliest ‘cinematic’ game scores for titles such as Conquest: Frontier Wars, Privateer: The Darkening and Digital Anvil’s Freelancer. 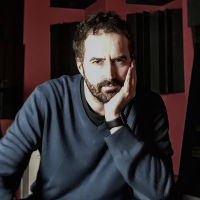 A regular interviewee and contributor for the BBC, Classic FM and others, James penned Develop magazine’s first ever audio-related cover feature and is co-founder of Game Music Connect and the forthcoming Screen Music Connect.